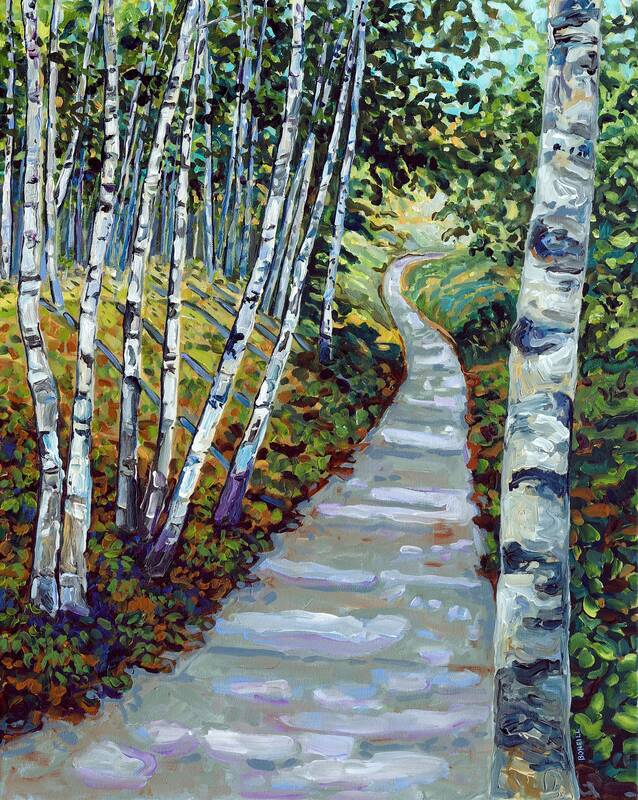 Inspired by a walk in the birch forests of Michigan! Such elegant and graceful trees. My favorite path to hike is the trail to Pyramid Point along Sleeping Bear Dunes National Lakeshore. The dappled green light is uplifting and the sweet forest air relives my soul.